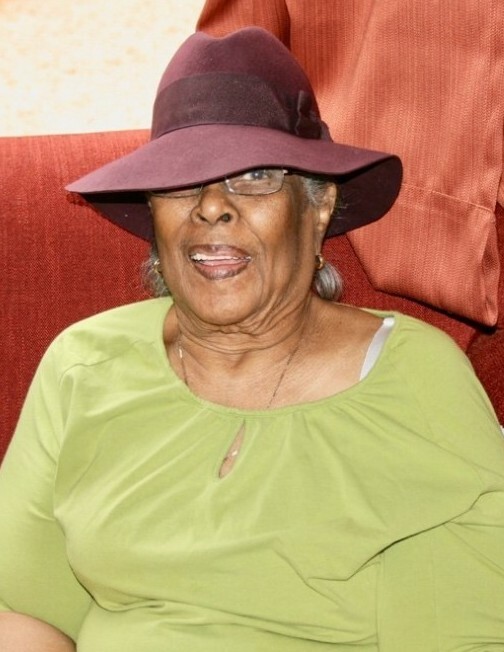 Juretha Olivia Cooper departed this life peacefully to be with her Lord and Savior, on April 12th, 2019. She was born March 14th, 1927 to the late Mr. and Mrs. Richard Johnson, in Natchitoches, Louisiana. She finished high school with honors and was married at an early age to the late John E. Cooper, United States Airforce Sargent. She lived with John in California where she attended classes in nursing. She came to Massachusetts in the 1970’s, where she ultimately called home. Juretha raised her children and grandchildren, something she enjoyed doing, in which she took great pride, and in the outcome she rejoiced. Her love and sacrifice brought her family together and will always keep them together. Juretha was blessed to have many dear friends. Mr. William Griffin,Ms. Lessie Moore , and Sharon Scott were like family in her final years. Juretha is preceded by daughters Cynthia Cooper and Alice Marie Jones, and second husband James Bray. She leaves to cherish her memories, her daughters Eloise Livingston of Dale, Texas, and Zelleon Cooper of East Taunton, Cedric Cooper of Boston, Tiffany Gueye of Milton, Regina Cooper Benjamin of Milford and Presceia Cooper of Worcester. Her grandchildren Terry and William Livingston of Texas; Paul, Marlon, Des, Alain and Anissa Jones of Louisiana, Melanie (Buffy) Torres of Louisiana, and Monica Johnson of Louisiana; Ashley, Cedric II and William Cooper of Boston, Marcell Cooper of Milton; and 25 great grandchildren: Marcus, Daryl, Yoland, Rachel, Cody, Ketrick, Shannon, Kendrick, DeAndre, Alaina, Alain, Destyni, Adrienne, Marcus Jr., Marissa, Ashley, Donnie Jr., Deyshawn, Shuntel, Norah, Samir, Zakariah, Amaya, Aria and Alyse.